Selling Scout Popcorn is a major fundraiser for the 15th Sudbury Group. It allows local youth to participate in adventures they otherwise wouldn’t be able to. It even helped fund the Troops CJ’17 fees! Scouter Neil Milner, Scout Popcorn Coordinator, shared how the Group increased their sales by 182% last year by raising over $4,000. By promoting Scout Popcorn outside of the popcorn season, the 15th Sudbury Group has raised awareness of the fundraising campaign in their community. One way they raise awareness is by handing out microwave popcorn in the Santa Claus parade. Events like this have proven to be a great catalyst for building relationships within the community and increased sales. 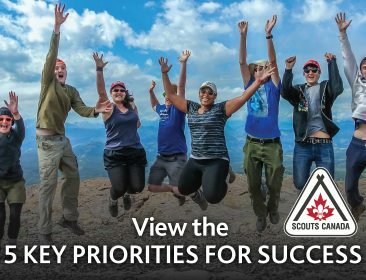 With the 15th Sudbury Group, the Scout Popcorn campaign is almost completely youth-led and a great opportunity for youth to develop leadership and fundraising skills. The Group allows youth to choose the goal which helps motivate and inspire them to fundraise even more. One of the biggest achievements was to raise funds to cover their Troops Canadian Jamboree fees. The Scouts focused on individual fundraising and were each able to cover their registration fees. When asked about the next big fundraising goal, Neil expressed that World Jamboree 2019 is on the horizon. The 15th Sudbury consider the popcorn fundraiser a great success time and time again, and can’t wait to begin raising funds for WJ 2019. We wish them all the best as they begin fundraising for what will be an amazing international Scouting adventure!